All Air Masters, Inc. is one of the leading providers of HVAC services in Claremont, CA. When you need top rated residential and commercial Air Conditioning and Heating services, you can depend on our HVAC company to provide the best workmanship at fair rates. 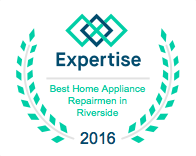 We have over 30 years of service in the heating and cooling industry serving customers near to Claremont, CA. Our highly trained and professional HVAC contractors are committed to doing the best job for all of your heating, cooling, and appliance repair needs. Claremont is known as the home of the Claremont Colleges and other educational institutions, and for its tree-lined streets with numerous historic buildings. In July 2007, it was rated by CNN/Money magazine as the fifth best place to live in the United States, and was the highest rated place in California on the list. It was also named the best suburb in the West by Sunset Magazine in 2016, which described it as a "small city that blends worldly sophistication with small-town appeal." Due to its large number of trees and residents with doctoral degrees, as well as its proximity to the renowned Claremont Colleges, it is sometimes referred to as "The City of Trees and PhDs. When something goes wrong with your heating or cooling equipment, reach out to the experts at All Air Masters, Inc. We provide air conditioning repair and maintenance, heating system repair and maintenance, and appliance repair for all makes and models. Count on us for water heater, furnace repair, and any other residential and commercial HVAC services you need. Keeping your interior cool when the weather heats up is a top priority and at All Air Masters, Inc. we can help you stay as comfortable as possible Our technicians can attend to all residential and commercial AC repair requests using thorough diagnostic techniques and modern repair methods. We are dedicated to making sure that your comfort comes first on each and every service call. ​(909) 399-3223 today. We offer FREE estimates and quality workmanship guaranteed!